My lab enjoys homemade dog food, but I keep him on dry food because he had a little skin parasite problem. I cook for him now and then, but it’s hard to “catch” the right food ratio. How many grains, how much meat, how much this or that. Whether you are going to make it too fat and cause problems. It’s tough. When I asked my vet what to cook for my dog, he said that chicken is the best option. Nothing else. However, he advised me to stick to dry food because that’s the perfect and easiest option to promote good health to the dog. But some people want even more. They think that their dog should eat only homemade dog food and nothing else should come into the picture. That’s fine, and you should continue doing that no matter what. In fact, people who saw and followed the plan of this infographic say that their dog significantly improved. I’m thinking about changing the diet for my dog. Even though, Labradors are really “soft,” I would try this for a week or two to see how he reacts. I call them weak because they are like a magnet for every flu or parasite out there. They are unbelievable. Here is the infographic that will help you get the perfect ratio when you cook homemade dog food. I want to hear your thoughts on this one. 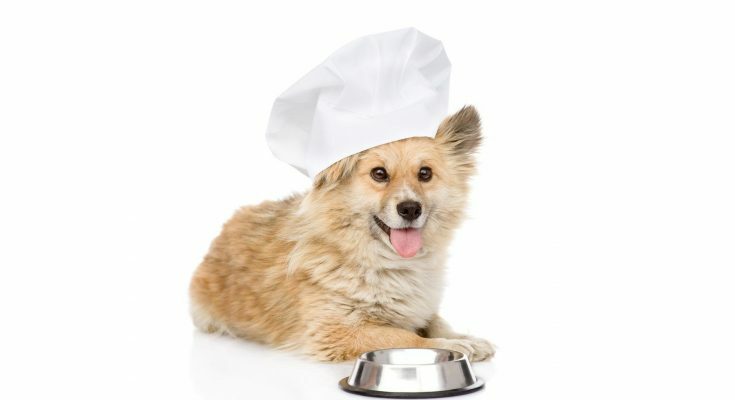 How do you feed your dog and do you have any other ways to cook dog food? Don’t forget to share this with all of your friends that have a dog in their homes.